Efficiency is important, especially during a move. Why expend more energy than you need to? At Everett Secure Self Storage we rent moving trucks to help you save time on moving day. 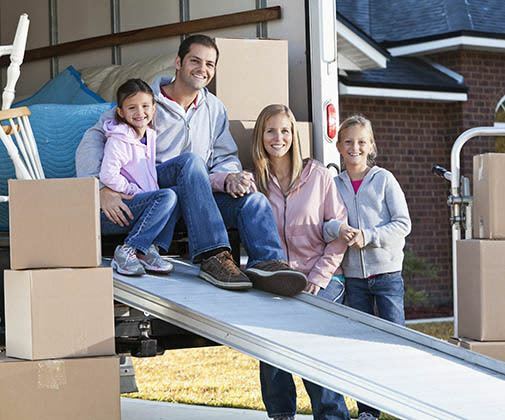 There’s no need to make multiple trips to your new home or storage unit when you can lease a U-Haul instead. For more information on our moving truck rentals, contact Everett Secure Self Storage today. Our staff looks forward to assisting you in choosing the right truck for your next move. Pack Like Items Together – Be sure that your boxes are clearly labeled with their contents. Keep the Ramp Clear – Just ensuring that it is dry and clear of debris can prevent many slips and falls on a loading ramp. Evenly Distribute Weight – Moving trucks are easiest to drive when you have evenly distributed the weight throughout the truck. Place heaviest items at the rear and secured to the cab.